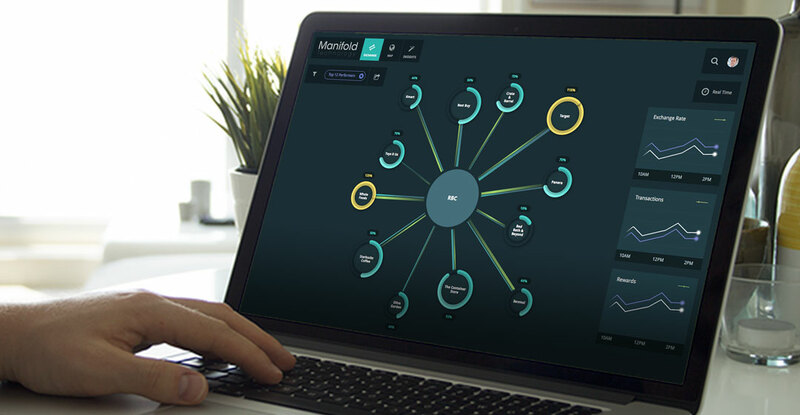 Manifold Technology needed to communicate the value proposition of a back-end cybersecurity tool through two demo apps. 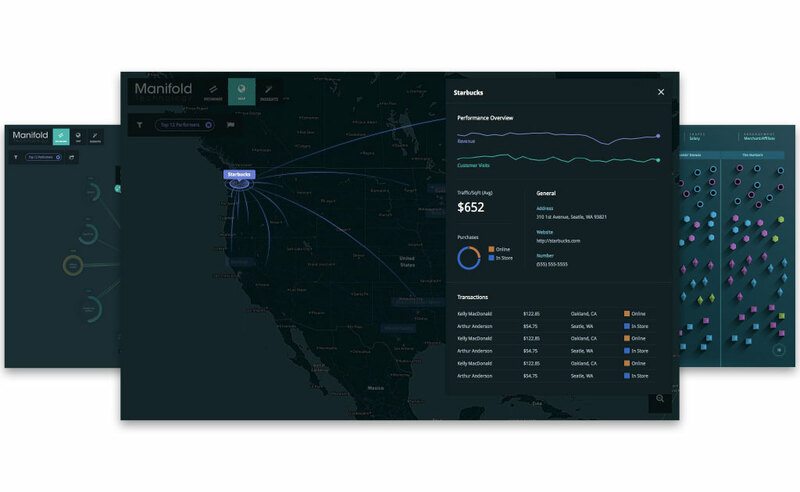 The first app, a B2B desktop app for merchants and executives, would show transactions within the context of a geo location, performance metrics of stores, and insights into consumers and their behavior based on available marketing information. 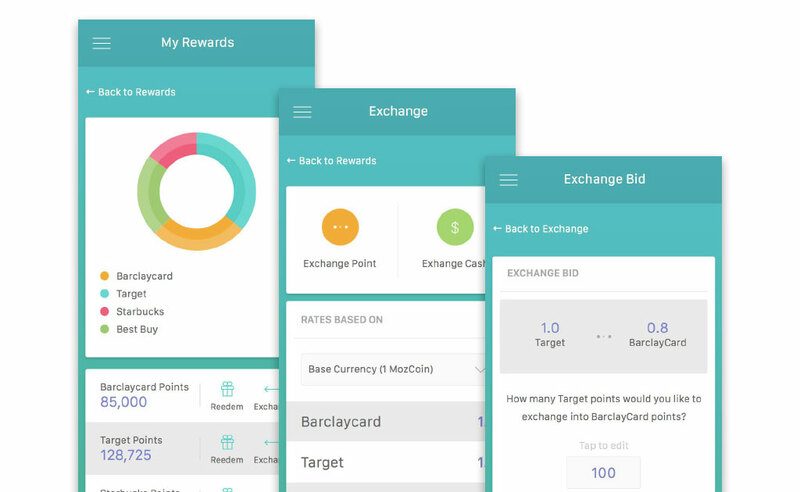 The second app, a B2C mobile rewards and financial app, would pull the user’s rewards cards and bank accounts into one place so they could track spending, set goals, and exchange or sell points. Our team worked through every phase of the design process, from information architecture to wireframes, visual designs, all the way through to front-end web development. 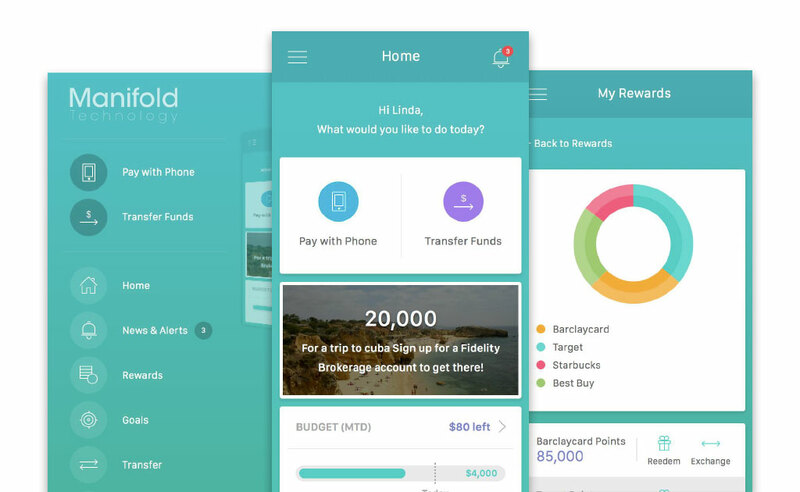 With guidance from the client, we created several user stories in order to capture the descriptions of the main features of the app from the perspective of the end-user. This helped to describe the type of user, what they wanted to do and why. 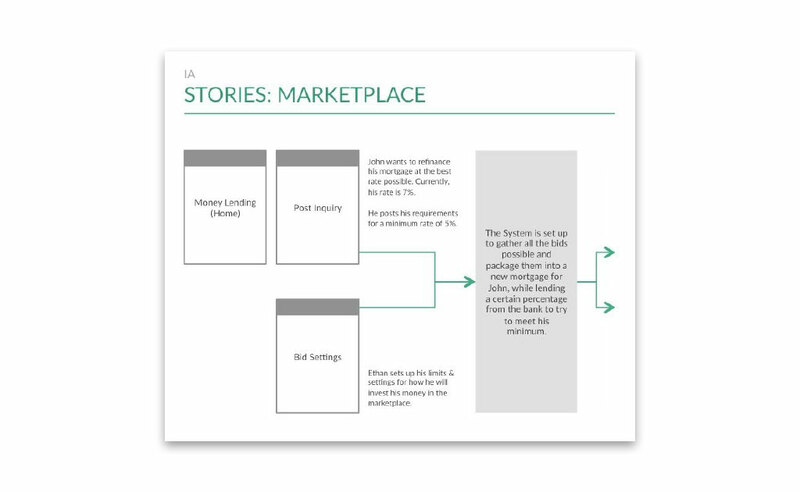 While we were defining all the features through user stories, we were also building and modifying the information architecture of the two demos. This helped us to manipulate and organize the content to improve the navigation of the two apps. 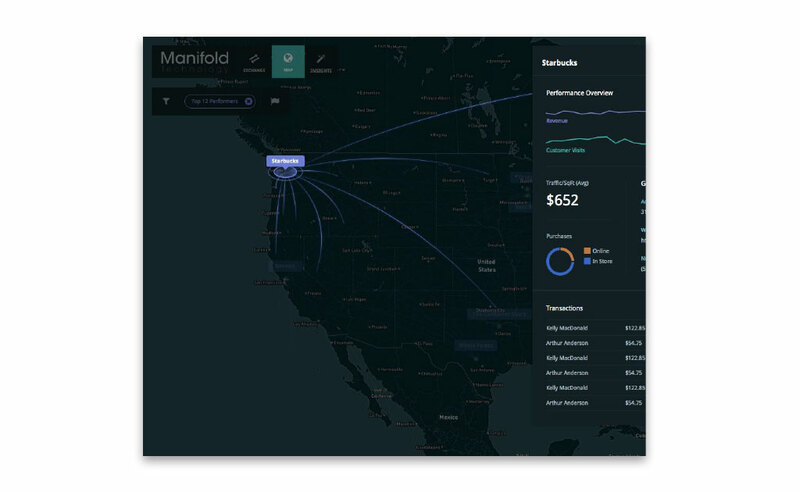 It also gave Manifold’s business development team the ability to demonstrate how fast their prospects could benefit from a reward point program. With all the information gathered, we started generating low fidelity wireframes. 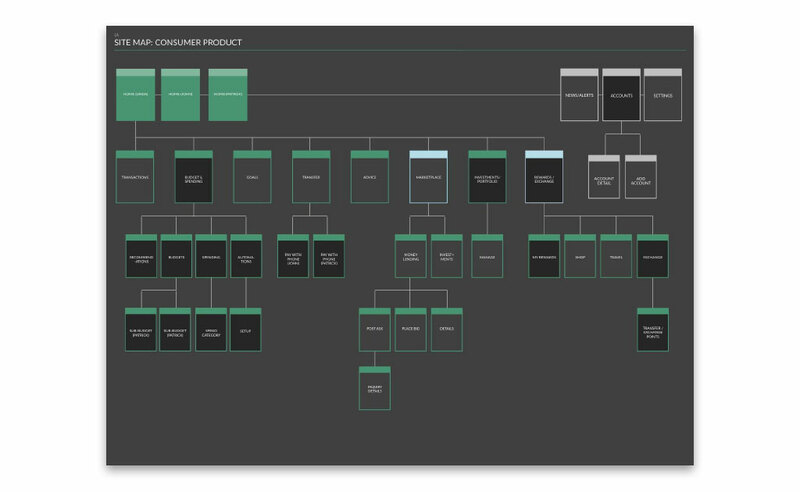 These wireframes helped show the client a visual guide for the complex structure of the application and most importantly, how the user will interact with it. We created a Merchant Layer for executives to get a quick summary of the merchant. 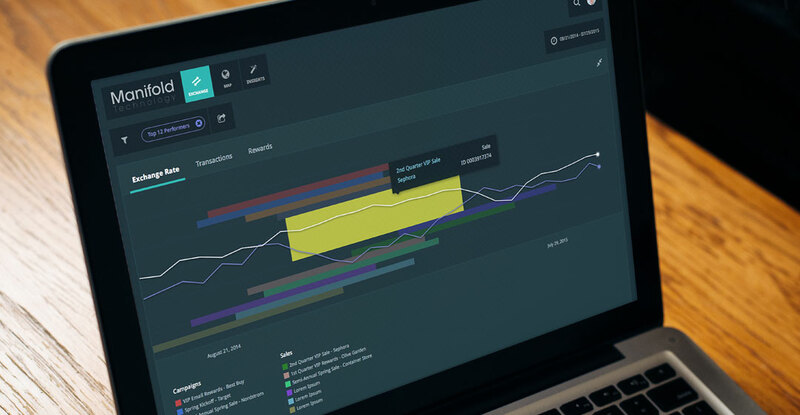 Within a click, the executives can access information such as: security level, transaction list, exchange rates and much more. 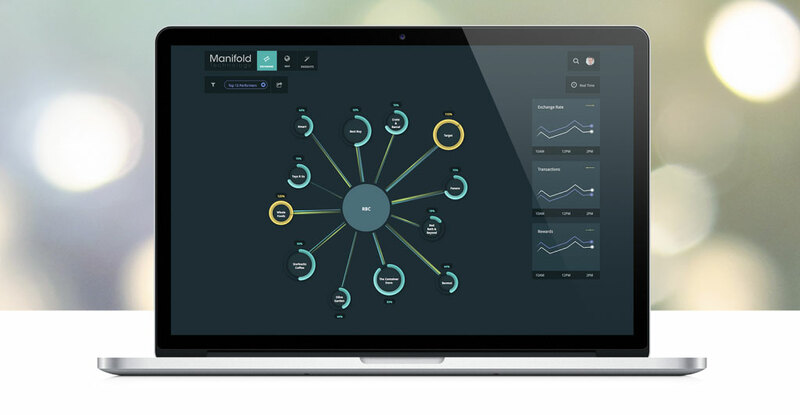 Users can also drill down into the exchange rates and get complete reports on the merchant’s campaigns and sales. 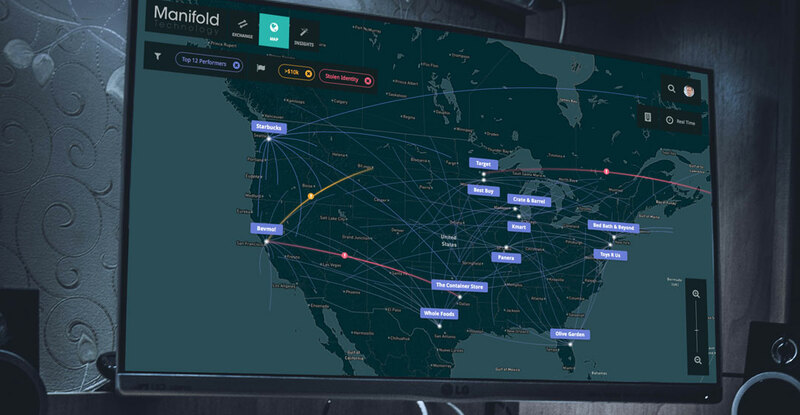 With the map, merchants and executives have the ability to see all financial activities like transactions, exchanges, and transfers within the context of a geographic location. 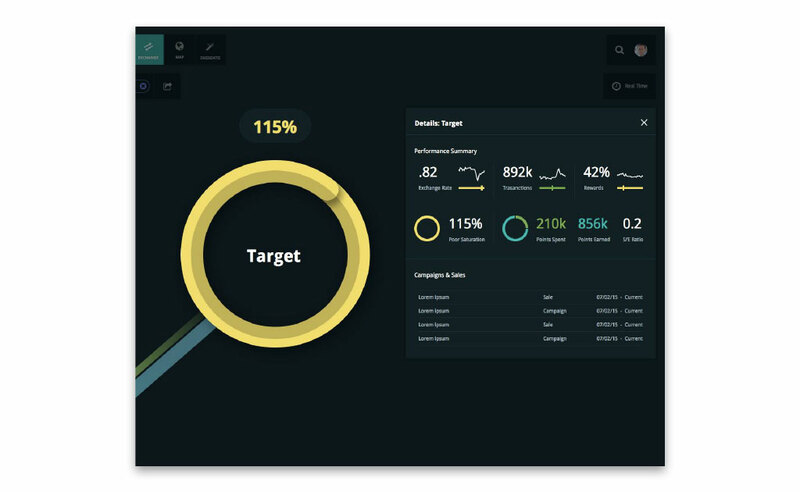 The intent was for executive users to focus on the merchant’s performance metrics on the left. 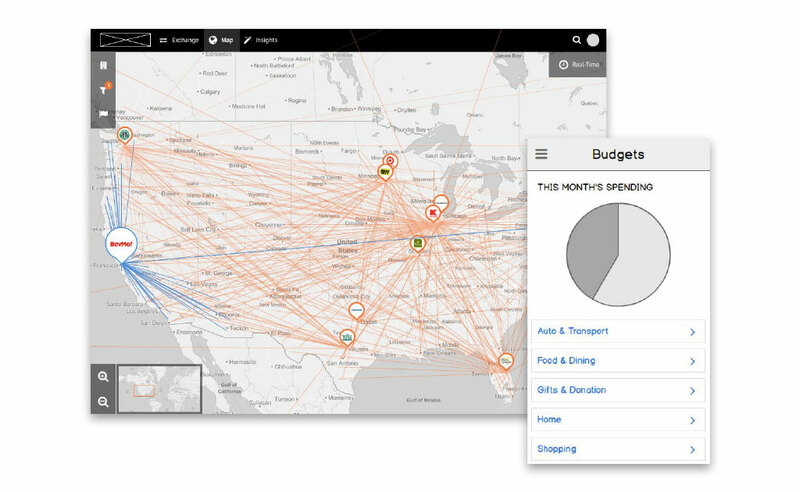 Meanwhile, with merchants on the other side, they were to focus on the performance metrics of their stores. “Momentum was really professional. I liked their approach and the methodology that they used. It was very organized.” Read full review.